Mold Growth can be a major problem. Mold growth can be a major problem for your restaurant in Pico Rivera, CA, which is why you want to do everything you can to avoid a mold issue before it happens. Customers expect to eat in a safe, clean environment, and mold is the last thing they want to see or hear about when eating in your restaurant. 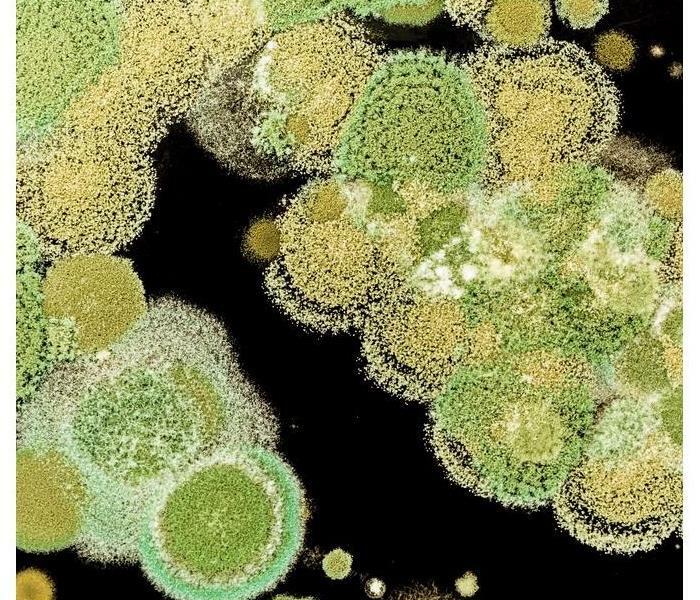 Fortunately, there are several precautions you can take to help prevent mold from growing. Follow these five to help keep your restaurant mold-free. Your walk-in cooler may need to stay at high humidity levels if you are storing fresh meat. Ensure that there is adequate air flow in the cooler, doors are not left open, standing liquid is not present, and spills are quickly cleaned up. Water damage that is left undetected can quickly turn into a large mold issue. If you find any leaks in your building, quickly resolve the issue by calling in water damage restoration specialists to address the source of the leak and fix anything damaged by standing water. Ensure your staff has a regular cleaning schedule that addresses common breeding grounds for mold growth such as dishwashers, sinks, and garbage disposals. Don’t leave dirty dishes overnight, and regularly replace sponges and other cleaning supplies. Keep all food properly sealed and stored to prevent mold from growing on it. If food does go bad and mold is found, quickly dispose of the item before it has the chance to spread. Air conditioner leaks and other issues with your HVAC system can lead to a widespread mold problem. Have your system regularly cleaned and maintained to prevent issues such as this from happening. Mold can become a serious issue in your restaurant before you ever even notice it’s there. Follow these tips to start preventing mold growth in your building today. During certain seasons, it is possible that many businesses in Santa Fe Springs, CA, will be damaged when a big storm hits. If this happens, your clients may have a hard time finding technicians that can help them recuperate from catastrophic loss. 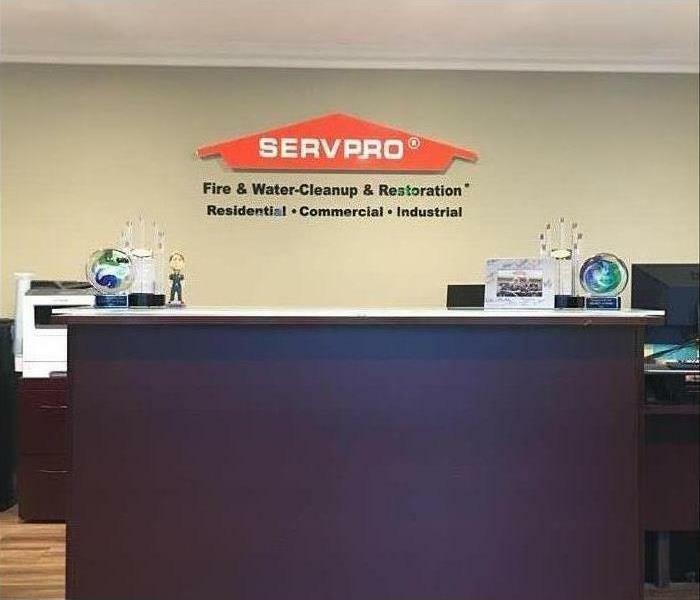 When you list a company such as SERVPRO as your preferred vendor, your clients benefit from a company with vast corporate resources and knowledgeable guidance. A catastrophic loss means that almost everything in the building will have to be repaired or replaced, so it doesn't do your clients any good to wade in and try to salvage anything. They should leave the retrieval and assessment to the professionals. When you call the SERVPRO call center after a natural disaster, chances are that the corporate office have already mobilized nearby teams to assist with the local franchises where the storm damage occurred. The company understands that a fast response can mean the difference between being able to get your client's business up and running again in a reasonable time and a delayed reopening that may signal the end to the business altogether. 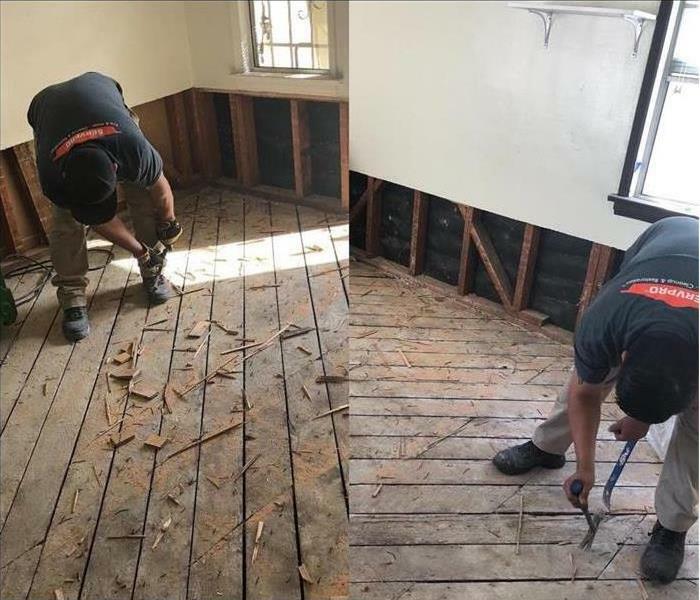 By pooling resources and banding together to address the onslaught of issues in the affected region, the technicians at SERVPRO have a good chance of being able to save businesses with as little loss as possible. A big storm can mean catastrophic loss to your client's property. A fast response team can help cushion the blow so that business can return to normal as quickly as possible. Sewer damage — two words that are sure to strike fear into the heart of any homeowner. Whether it’s a flooded toilet or a flash-flooded basement, the dangers of lingering pathogens and structural property damage are equally worrying and must be handled swiftly. It is considered best practice to hire a professional restoration team in an emergency involving sewer cleanup in Pico Rivera, CA. The professionals should be able to not only quarantine the contaminated area but also work to preserve and restore your house and belongings. Prepare your family for sewer cleanup by evacuating everyone from the contaminated area, including pets. Call the gas, water, and electricity companies; until they shut off your utilities, do not touch any appliances or fuse boxes. Do not light any matches in case of a gas leak. Turn off your A/C unit to keep airborne pollutants from spreading. Avoid going into flooded spaces and tracking contaminated water through clean places. Dispose of any furniture, carpeting, bed linens, or clothing that was affected by the water damage. Wear protective gear like plastic gloves, a face mask, goggles, and rubber boots. If you come into physical contact with any contaminated water during sewer cleanup, make sure to scrub your skin with hot soapy water before touching your mouth, nose, or eyes. Remember to prioritize safety, even if faced by the nightmare of sewer backup. Keeping calm, staying clean, and thinking quickly to enlist the services of professionals can ensure the health of your family and protection of your home. to understand just what helps this pesky fungus thrive. 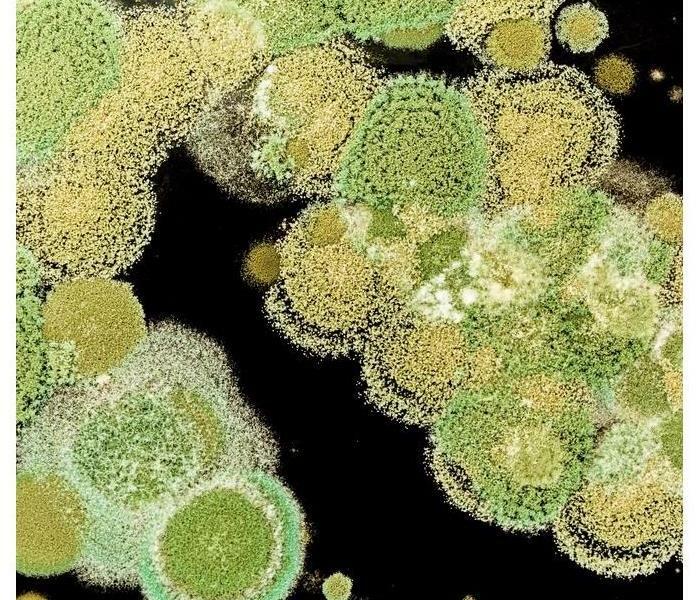 While black mold has a particularly nefarious reputation, all household mold is problematic and should be stopped from spreading early. Spreading mold occurs via spores, which are like seeds for fungi. These lightweight spores are invisible to the naked eye but are all around us. They’re not a problem, however, until they land on a surface where they can thrive. Such surfaces include leather, wood, paper, drywall and basically any organic surface they can use for nutrition. What makes these spores so easily spread is that they are airborne. That means a breeze can carry them over great distances to find a place to take root. In your home, the HVAC system can achieve this. A few spores landing in moist AC vents, for instance, can multiply and spread through your home as soon as you turn your system on. Stopping mold from existing is impossible, but you can stop it from multiplying in your home easily. Start by minimizing dark, damp areas, especially in bathrooms, attics, crawlspaces and beneath sinks. Work with a mold remediation company to remove moisture and you’ll have taken a major step to stopping spreading mold in its tracks. Why Do Insurers and Clients Prefer SERVPRO? Most insurance companies have Preferred Vendor networks for cleaning and restoring property damage. An insurance adjuster may recommend contacting a particular service, or homeowners may want to obtain an estimate from a reputable company when making an insurance claim. Insurers and clients prefer SERVPRO, an all-in-one mitigation and restoration service, for several reasons. Each franchise must abide by 21 guidelines in order to receive Insurance Client referrals. Insurers appreciate this level of quality assurance. Taken together, all of these programs enable employees to stay current with the leading mitigation and restoration methods for every type of damage. This allows for faster and more complete jobs and lower claim amounts. Trained professionals at an all-in-one cleanup and restoration company are also capable of providing a complete assessment and arriving at a more accurate estimate. Estimates should take into account the types of equipment and expertise required, as well as the duration of a mitigation and restoration job. Agents and adjusters are also likely to appreciate the Claims Information Center. This electronic service allows insurance representatives to access estimates and collected data from across the country all the way down to the state, county or local level. All of these factors combine to make a Preferred Vendor the best option for restoring residential damage in Pico Rivera, CA. 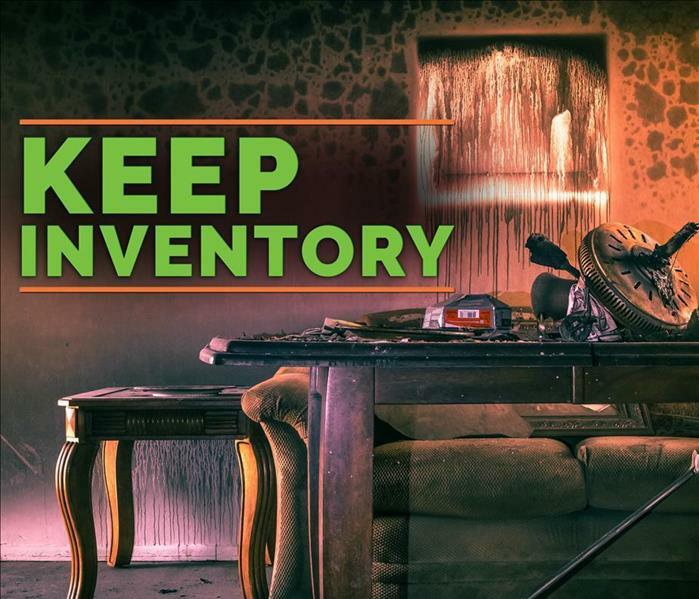 Whether you are a homeowner or an insurance adjuster, you should contact the nearest SERVPRO franchise. Water damage? Call SERVPRO for immediate help. If flooding occurs in Santa Fe Springs,CA, your business could be severely affected by water damage caused by black water. 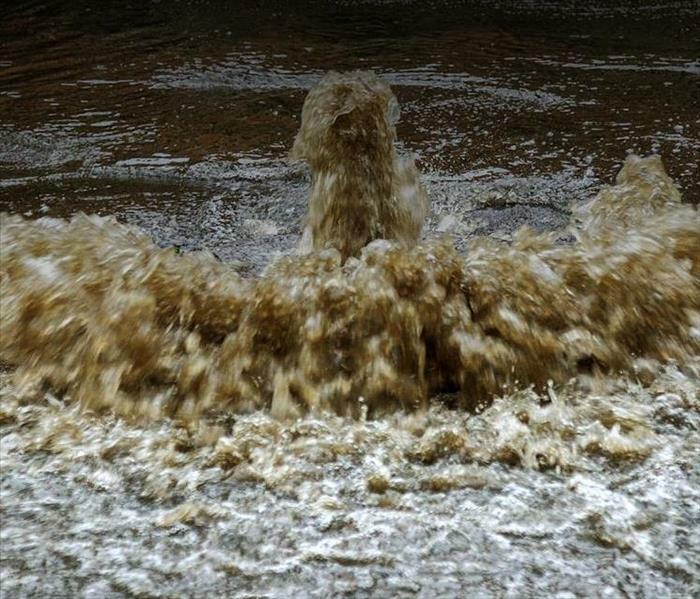 This type of damage happens when heavy rainfalls push wastewater into buildings or when the sewage system is compromised. It is a threat that should be taken seriously, and a building that has been affected by this type of flood should be given immediate attention. Complete sanitization is generally required, and time is of the essence. Here are some suggestions for you as you begin the restoration process. 1. Turn off all utilities. Be sure that the gas and electricity to the building have been cut off before entering the building. Stay away from fuse boxes and anything plugged into outlets until you are sure all power to the appliances has been turned off. Be wary of submerged appliances. 2. Begin the sanitizing process. The contaminated water should be removed as quickly as possible from the building to assess the water damage. All surface areas touched by the sludge should be thoroughly disinfected. Walls, fors, and countertops should be washed with warm water mixed with cleaning agents that will destroy all harmful bacteria. Sanitize the air by opening windows and running fans throughout the area. Be careful not to track debris into clean areas. 3. Evaluate the items in the flood area. Take all moveable objects out into the sun to dry. Appliances that have been submerged for a length of time will most likely need to be replaced. Rugs and carpets that cannot be cleaned and disinfected must be discarded. Throw away all food containers. The flood damage done by black water can be severe. 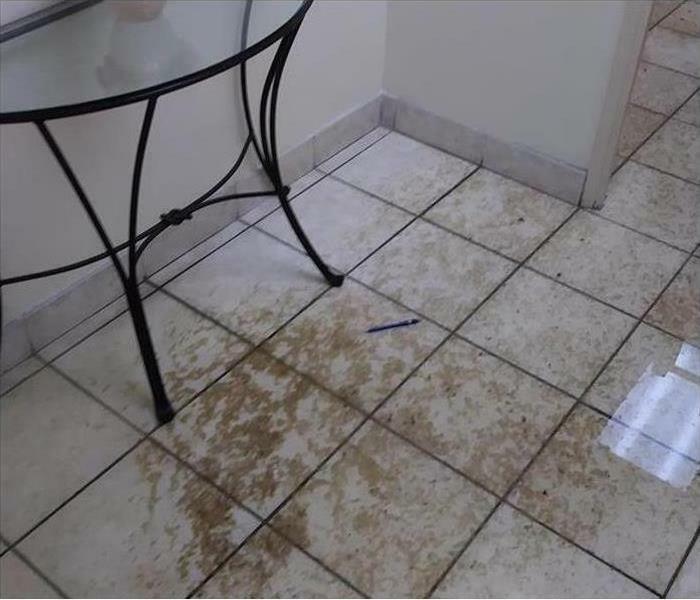 The cleanup process could feel overwhelming, but water damage professionals are there to assist you in ensuring that everything is done properly and efficiently. They can get your building back to pre-flooding conditions like the incident never happened. Does My Homeowner’s Insurance Cover Broken Pipes? Most people in Pico Rivera, CA, have experienced plumbing issues at home. In many cases, these situations are minor and lead to moderate cleanup and repair efforts. However, if a flood occurs in your house due to problems with water pipes, you could be in for a costly, time-consuming mess. Fortunately, you have homeowner’s insurance. But does your policy handle such circumstances? The answers can vary. As a homeowner, you have the responsibility for the maintenance and upkeep of your home. This includes paying attention to items that need repair and replacement. You can’t expect insurance coverage when you neglect to do your part. Worse, if you intentionally break something, the replacement will be completely up to you. Sometimes, incidents occur that are completely out your control. If a pipe suddenly breaks in your home and causes a flood, and it wasn’t something that happened because of gradual deterioration or your own neglect, your insurance should cover the costs and damages. It’s crucial that a licensed, competent plumber installs your pipes. This way, you can have confidence that everything will function properly. If leakage or flooding occurs because the pipes themselves are faulty or because the plumber made an error in installation, you should have insurance coverage. To avoid costly cleanup from a professional flood restoration company, make sure you understand the limitations and coverage from your insurance provider. Keep these guidelines in mind when you purchase a home. To help protect both their investment and financial security, it’s essential for every business owner in Pico Rivera, CA, to possess a commercial property insurance policy. Water damage resulting from leaking pipes is a common claim that often necessitates extensive cleanup and restoration efforts. Although aging infrastructure may complicate the situation, there are several proactive steps every business can take to help detect damaged pipes and minimize the risk of flooding. To help reduce the risk of leaks, you should schedule routine inspections of these vitals systems to verify the absence of obstructions, loose hose connections and defective components that may cause water seepage. During the winter, exposed pipes may be susceptible to freezing. Ice formation can increase pressure within the pipe, which may cause it to burst. To minimize the risk of damaged pipes, you should insulate exposed supply lines in uninsulated areas of your building and those near external walls. In addition to leaking pipes, flooding can also arise if water seeps through a compromised roof. Completing routine rooftop evaluations can help you identify potential issues and commence necessary repairs before substantial leakage occurs. It’s also important to take proactive steps to prevent the formation of ice dams during the winter. To alleviate this concern, you should routinely clear gutters of debris and ensure you have adequate insulation above your ceilings. Maintaining proper air circulation is also key. Although most property insurance policies cover water damage, avoiding a claim is often preferable. While it may be difficult to detect damaged pipes inside walls, employing proactive maintenance procedures can help you identify and repair some potential flooding sources before significant destruction occurs. 2/20/2019 - Why Do Insurers and Clients Prefer SERVPRO? 1/18/2019 - Does My Homeowner’s Insurance Cover Broken Pipes?